The Haute Savoie resort is situated in the Rhone Alps region. Right along the borders of Switzerland and Italy, this famous ski resort, offers a diverse range of people who enjoy the powdery snowfalls. 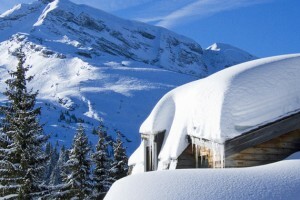 This resort is not just limited to skiing but other snowing activities as well, such as snowboarding. This area is not just famous in the winter time, but also the summer. This ski mountain is one of the most famous in France to climb with a mountain bike or by hiking. Even the Tour de France goes right through this area each year. Many come here for the fierce white water rapids, which can provide an adrenaline rush for the entire family. A family or individual wishing to travel to this magnificent region, can usually find decent air fares arriving at one of the three area airports, Geneva, Grenoble and Chambery. This resort also offers Ski airport transfers, so that those who are not familiar with the snowy roads or renting a car in a foreign country, do not have to worry about all that and can have courteous service to pick them up and again return them when time to leave. There is plenty of lodging right near the Haute Savoie. Stay in a French Chalet in a rolling hillside and experience France at all her best. Enjoy local meals that are authentic and unbelievable in taste. Learn from the locals about living in France and the lifestyles that are observed there. Whether one is on holiday or just taking a weekend away, skiing the slippery slopes at Haute Savoie is the way to spend the day. With some of the best slopes for both beginners, intermediate and expert runs, this resort is made to satisfy any level of skier. As soon as the first snow starts falling, the slopes will be jammed packed with people learning to ski or those trying to conquer new and exciting things on the hills.